There are few places in Wales that can offer golfing groups the range of facilities and some of the most memorable and inspiring golf holes in the country as comprehensively as the Vale Resort. 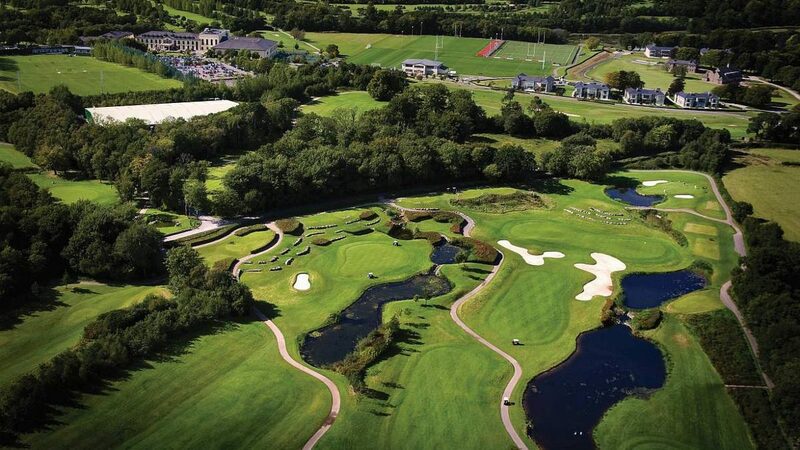 Nestled away in over 650 acres of beautiful Welsh Countryside the Resort with its 143-bedroom hotel also encompasses two championship golf courses, Wales’ largest spa, exceptional sporting facilities and award-winning dining. Established as one of UK’s leading golf destinations, the two championship courses live up to their reputation as being challenging, picturesque and memorable for golfers of all abilities, both having staged Sky-televised European Tour events. Add to this a friendly and welcoming clubhouse and changing areas, excellent golf shop, experienced staff and a professional service, and you have a recipe for a successful and unforgettable golf day. Ideally located just three minutes off junction 34 of the M4, 45-minute drive from Bristol, 90 minutes from Birmingham and only two hours from central London making the Vale Resort one of the UK’s most desirable golf and leisure destinations. Includes coffee & bacon roll on arrival and golf and on course competitions from £25pp. Optional extras include; event management, private dining, light lunch, two or three course meals. Leave the M4 at junction 34 and follow the hotel signs (only 3 minutes away). Wales National Mon to Sun. On site 143-bedroom 4* hotel.